NATIONAL HARBOR, Md. – Budget uncertainty is challenging the services as they try to modernize, both to keep up with enemy threats that are advancing around the globe and to replacing aging equipment near the end of its service life, the services’ second-in-commands said today. Assistant Commandant of the Marine Corps Gen. Glenn Walters said today at the Navy League’s annual Sea-Air-Space exposition that a full-year continuing resolution – which is looming, if lawmakers can’t pass a defense spending bill before the current CR expires April 28 – would stop the Marines from countering the technological advances they are seeing from adversaries around the globe. “The world changes frequently now – we are seeing [unmanned aerial systems] threats in the Middle East right now that we hadn’t seen last year, which meant we didn’t program for it last year, which means if we have a CR this year we can’t use the money to counter the threat. And that’s a challenge,” he said. Walters described a Marine Corps on a trajectory to becoming more technologically savvy – through additional cyber and unmanned capabilities pushed down to lower levels of the Marine Corps – regardless of funding levels, even if it means sacrificing traditional capabilities. “We are going to favor getting into electronic warfare on the network, recapitalizing our command and control, we need more long-range fires, and we have to get at, much like all the other services right now, 20- and 30-year-old vehicles and weapons systems that need to be replaced to fit into (the new Marine Corps Operating Concept),” Walters said. 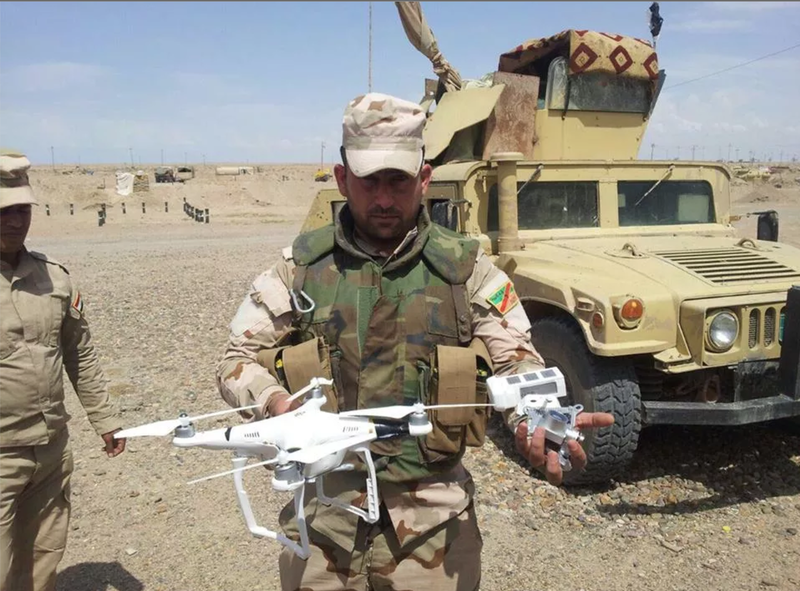 And on unmanned systems, Walters made clear that there wasn’t a question about whether the Marine Corps would buy unmanned ground or aerial vehicles, but rather how many and what kinds. “The war in the future, the first American capability through the door should not be a U.S. Marine with a flak vest on, if we have an alternative to that,” he said. The Coast Guard, too, is looking for a combination of unmanned vehicles to meet its needs, though Vice Commandant of the Coast Guard Adm. Charles Michel said his service, with a small budget lumped into the non-defense discretionary funding section of the federal budget, may struggle more to find the money for new systems. The Coast Guard last week released a draft request for proposals for a small unmanned aerial system to operate from its National Security Cutters, but Michel said the service is “still kicking the tires on our small UAS” to see what technologies are out there and what might meet its needs. 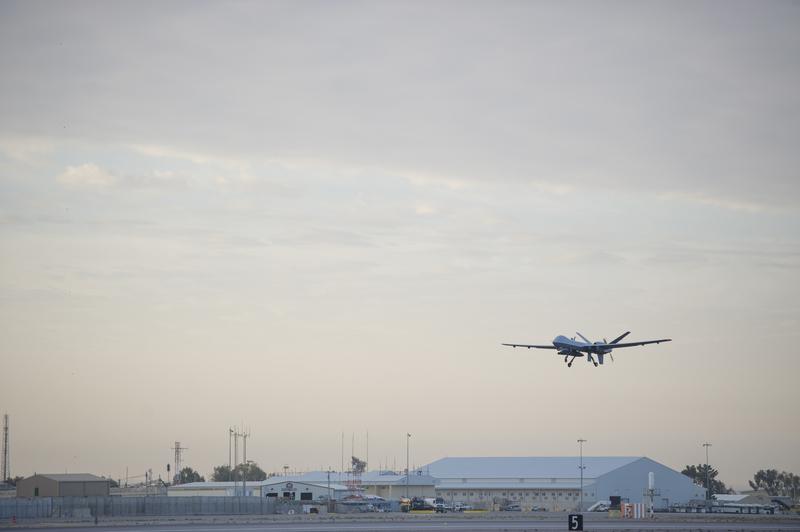 He added that the Coast Guard currently has an arrangement with U.S. Customs and Border Patrol to use its land-based MQ-9 Reapers but that the Coast Guard ultimately hopes to take lessons learned from its use of borrowed assets and decide on a system to buy. While some small UAS have the benefit of being portable and ship-launched, Michel said the larger airframes have greater dwell time and payload capacity, so the service will likely end up with a mix of both. More immediately, Michel said a full-year continuing resolution would hinder the service’s plans to design and build a replacement for the United States’ lone heavy icebreaker. “We are trying to get the initial construction money for our new heavy polar icebreaker, which is going to replace the Polar Star, which is our nation’s only operating heavy icebreaker, over 40 years old and we’re just kind of keeping it together with Band-Aids,” Michel said. As for the Navy, Vice Chief of Naval Operations Adm. Bill Moran reiterated the Navy’s message that a full-year CR would force the service to cut training and operations. “If we don’t see a budget by the end of April, the end of this month, and we go into this full-year CR, we’re going to have to defer a bunch of things,” he said. People will have to be paid, but he said new recruits may be brought in at a slower rate, which will cause manning issues down the road. Training at fleet replacement squadrons will be severely slowed down, which could create manning gaps throughout the fleet. And ship maintenance availabilities will be “significantly” slowed down, which, when combined with cuts to steaming and flying days, will hurt readiness for the next several years. “Most of the impacts of a year-long CR in [Fiscal Year 2017] will show up in ‘19 because of deferred maintenance, delays in training. We can live off of some of the readiness we accumulated over time, but you run out in about a year, when you start to feel it,” Moran said. 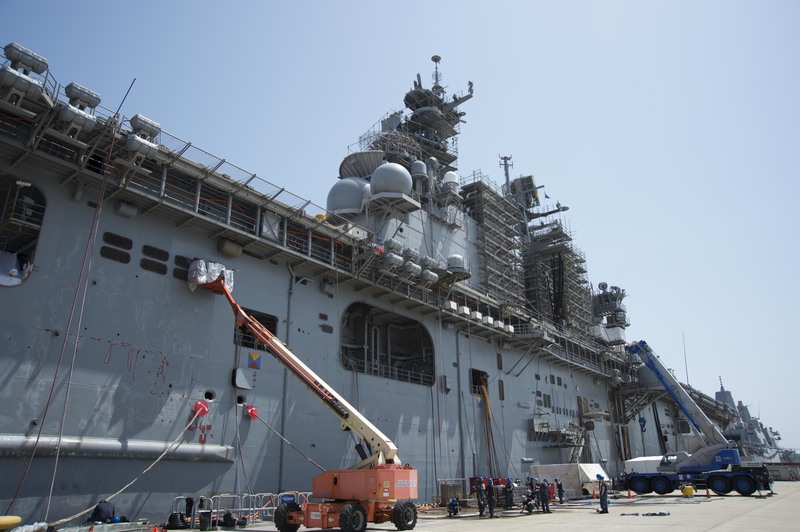 “If they can’t get some of their amphib ships into the yards and get them ready to pop out so we can train on them, that’s training lost,” Walters said.